Kramers Moving Service, LLC. of Northeast Wisconsin is a local, family owned and operated business. FREE Estimates - We are trustworthy individuals that will accommodate your needs. We have low overhead which allows us to keep your costs to a minimum. We will go above and beyond what is expected. Moving your possessions safely, and to your satisfaction is our priority! Pick-up and delivery of items you buy on the Internet (Craigslist: Sectionals, Beds, Refrigerators, etc). No job is too big or too small! We decided to start a company because of the outrageous prices of larger moving companies. We feel that people in our community should hire us to do the job for less. We realize that moving can be very stressful, let us relieve some of that stress for you. Kramers Moving Service, LLC is dedicated to providing excellent moving services and will ensure that our professional movers treat your belongings with the care they deserve. Call us today at (920) 858-6564. Whether you're looking to move across the state or across the street, you need a mover you can count on to transport your belongings safely and efficiently. 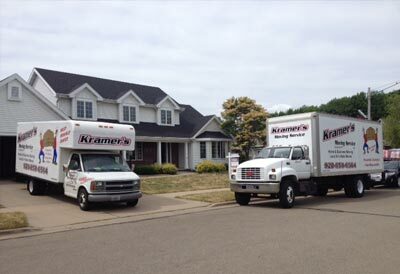 For Wisconsin residents, the moving team to trust is Kramers Moving Service, LLC. Our experience in the moving industry has taught us that nothing is more important than customer satisfaction, and we'll work our hardest to ensure that you come away pleased following your move. If you're looking for excellent service and a people-friendly approach, then you've come to the right place. 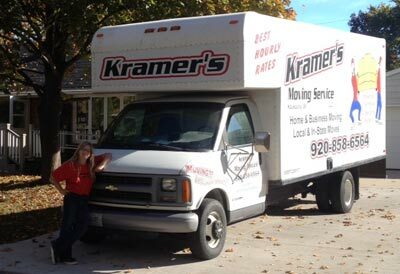 At Kramers Moving Service, LLC, our ultimate goal is to serve you and make your experience a pleasant one, and our team will stop at nothing to ensure that you come away more than satisfied. Loading, transporting, then unloading and setup of your household items. Pick-up and delivery of items you buy on the Internet (Craigslist: Sectionals, Beds, Refrigerators, etc). Loading/unloading of your rental truck/ trailer. Moving in/out of DORM ROOMS. Loading/unloading of your storage units. Moving your office? We do THAT too! by Sarah Noy of Movers USA, Inc.
Moving is always a stressful event, and as such, can often lead to simple mistakes that end up making the entire process more difficult. Below, we'll look at five common mistakes that you should avoid while moving your home or office. 1. Ignoring proper planning before the move. Careful planning is essential when moving a house or office. Never leave anything to be decided at the last minute. You need to make assessments regarding the moving budget, timing of the move and packing needs. Depending on your budget and expertise, you can decide whether to opt for hiring a professional moving company or handling the move yourself. When you move, there are a lot of things that have to be taken care of, such as requesting change in address, cutting off utility connections and unsubscribing from various subscriptions that cannot be dealt with randomly without proper planning. When you plan on hiring professional moving companies to handle your relocation, you should be mindful of not choosing the company that offers the lowest rates. This is the biggest mistake that people make and end up with further hassle, stress and additional costs associated with moving. Never compromise the quality of services for the price. Make sure to research quality movers for their professionalism, experience, reliability and integrity of service when selecting the right mover. 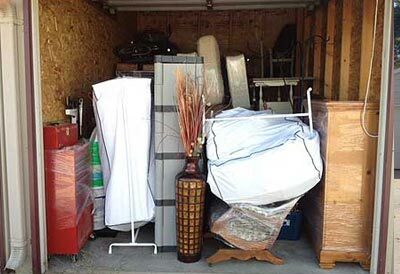 Unreliable movers rely on cheap pricing to attract customers and usually are not insured or registered. 3. Packing your items the wrong way. The packing process requires time and careful preparation to ensure that items do not get damaged, lost or mixed up. 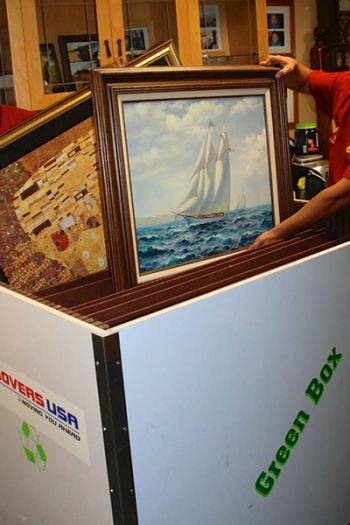 Sizing up boxes is important to ensure that different items are carefully packed according to their dimensions. Use strong boxes for heavy items and don't stuff boxes, as they may tear. It is better if you mark the boxes with their content to prevent any confusion while unpacking and unloading. Items such as laptops, computers, jewelry or other valuables should not be packed and sent in the moving truck; rather they should be taken in the car when you move. 4. Not reading through the moving documentation. After you have decided which moving company to hire, you need to go through all the paperwork before signing them. You should learn about your moving rights and any limitations so that you are not surprised at the end. Do not commit on a blank paper or before anything has been finalized. Ensure all moving aspects are set right before signing the paperwork so that in the event of a dispute you do not end up being the party at loss. 5. Not getting a written estimate based on actual items to be moved. A moving estimate over the phone or email is not enough and this is why you should always insist for an in-home estimate. Invite the movers over and show them all the items that have to be packed and moved. In this way, not only will you get an accurate estimate in written form, but you will also avoid paying more after the move. An in-house visit also gives an idea to the movers regarding the hallways and doors through which items have to be moved out so that moving schedules can be planned out in advance. Kramers Moving Service, LLC. prides itself with providing our customers with fair prices and the highest quality service on every move we do. We will provide you highly experienced teams of movers who are on time, in uniform, and who know how to protect all your belongings. Our aim on every move, is to completely satisfy all of our customers moving needs and make them happy by eliminating normal moving day stresses and replacing them with total satisfaction every time they move. © 2019 Kramers Moving Service, LLC. All Rights Reserved.